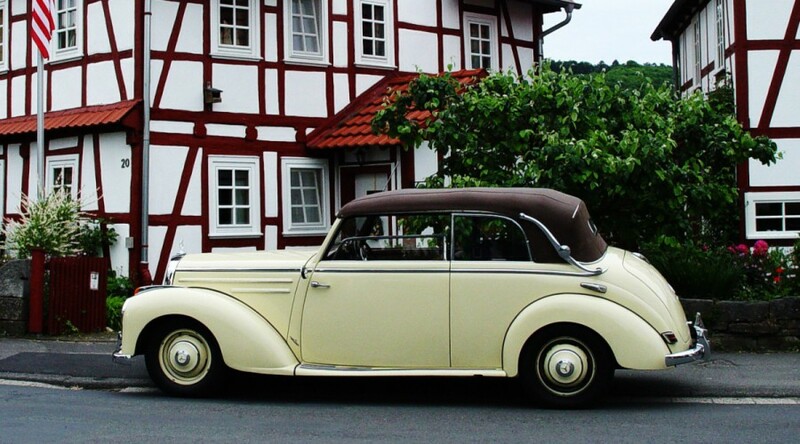 Classic 1952 Mercedes 220 Cabriolet B in Immaculate condition. 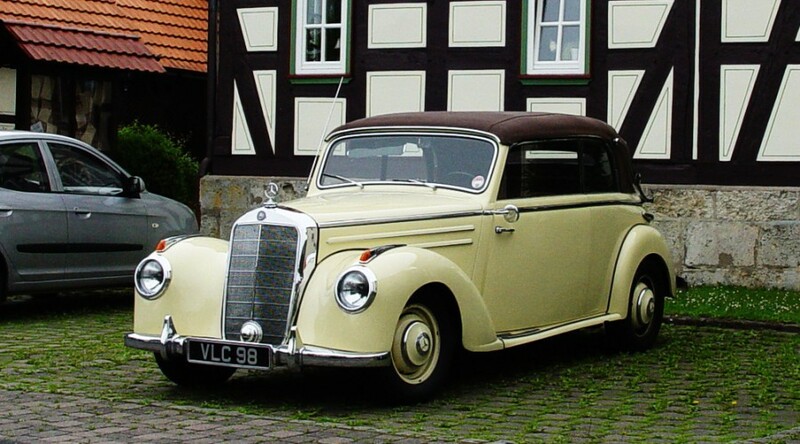 This Vintage 1952 Mercedes 220 Cabriolet B has been with Rees Bros Engineering in Aldershot for the past 14 years undergoing a thorough ground-up restoration. This included dismantling the vehicle down to the chassis, which was shot-blasted and refinished. The vehicle was then re-assembled one part at a time, with parts being either restored or in some cases replaced. The engine was rebuilt again (having been done in 1972), this time modified to accept unleaded fuel, which required new valve seats. 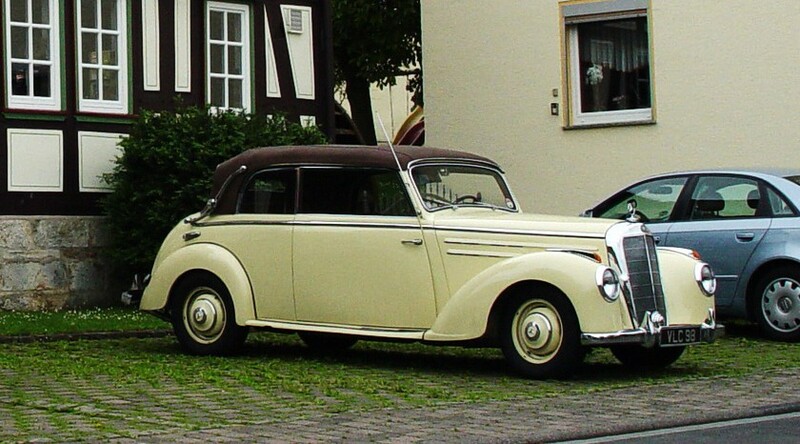 Therefore, the trip from Aldershot to Hamburg was the running in of the new motor. During the trip, speeds were varied, and the engine was never run at full throttle. Lower gears were used on hills and consideration was always taken of the need for careful operation. 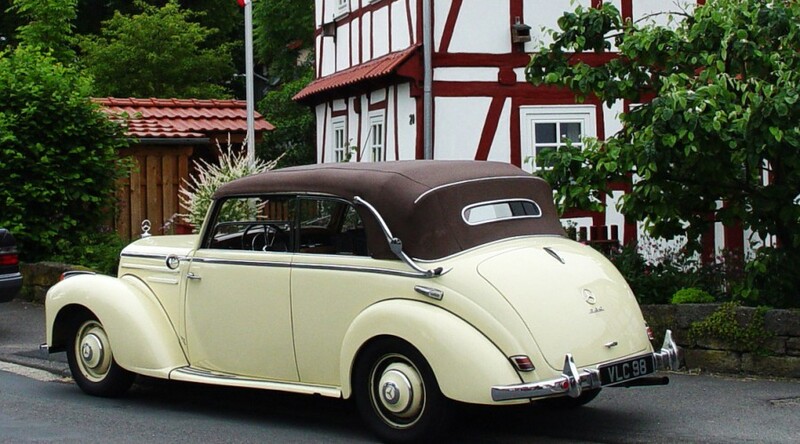 By way of history, the Vintage Mercedes 220 Cabriolet was originally delivered to a German owner in Bielefeld in May of 1952. Six years later (judging by the English registration VLC 98) it found its way to England, I believe in the ownership of Robert O. Griffiths, who worked for an advertising firm. The last English tax disc, expired in Dec 1962, is among the papers with the car, which seems to have been shipped to the US on a boat called ‘Karpfanger’. It was registered in California (as TMU 744), where I bought it from Ms Joyce Tyson. With the car are receipts for work undertaken and parts purchased since the car was first in California in the 1960s and up to the spring of this year.